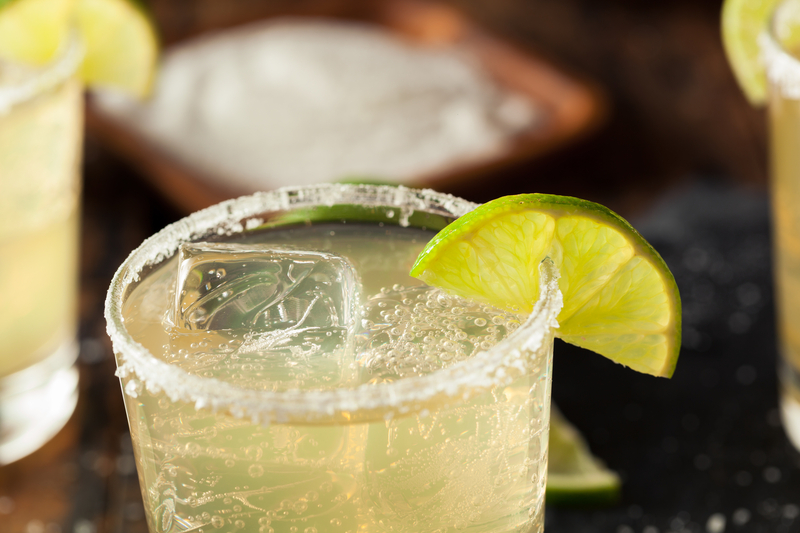 When most people think of taking a shot of tequila, they usually picture it with a wedge of lime and some salt. However, there are many other ways to drink this delicious liquor. Here, the staff at Martin Brothers Wine & Spirits in the Upper West Side share their favorites, so you can try something new the next time you buy a bottle of tequila. Quality tequilas have a wonderful collection of flavor notes in them, which can be best enjoyed if the liquor is sipped. Try this with a smooth single-village or single-ranch tequila that’s made with 100% agave. Look for a bottle that labels añejo or extra añejo, which are aged in oak barrels. The aging brings out the finer notes of flavor and makes for smooth drinking. You can either enjoy it at room temperature or out of the freezer. Margaritas are an excellent way to cool off on a hot day. They also pair nicely with food or salty snacks. The blended margaritas you’ll receive at restaurants typically have a lot of sugar in them, so choose a healthier option by making them at home. The perfect mixture will include 1 3/4 ounces tequila, 3/4 ounces triple sec, and one ounce of fresh squeezed lime juice. There are a lot of delicious cocktails and mixed drinks made with tequila, so you can have a lot of fun experimenting. One excellent option is an añejo old fashioned. This drink is made by muddling ¼ ounce of agave nectar, a dash of bitters, and an orange peel. Add ice and three ounces of aged tequila. Stir it and add a brandied cherry for garnish. When you’re prepping for an event or stocking up your bar for an evening tipple, head to Martin Brothers Wine & Spirits. Their shop sits on the corner of 108th street and Broadway and has reasonable prices on both liquor and wine. Their knowledgeable staff will help you select the right tequila for your budget and desired drinking method. Preview their selection of spirits online or call (212) 222-8218 for store hours.